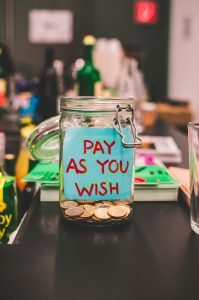 Tips To Improve Cash Flow For A Small Business | Accounting Inc.
Firms will often pay their suppliers within a month’s time of delivery or receiving purchase invoice. Conversely, they will leave a more significant period for their customers to deliver on payment. This creates a gap in cash flow. When your outflow isn’t being balanced with good inflow, it creates more significant problems for the future. It’s a good idea to have receivables come in as fast as you are delivering on payments. There are a few ways to alter your payment regulations in a way that suits your business. According to the nature of your business, you can offer monthly, bi-monthly or annual subscriptions for your services. You can allow discounts for timely paid invoices and impose interest rates on unpaid invoices. This will raise the benefits of paying up on time. Customers may find it a hassle to pay invoices. But if you allow for fulfilling payments using services and portals, such as Stripe or PayPal, customers can make payment within a few clicks. The flexibility of this method is attractive to customers. It’ll assure you of prompt payments and no heel dragging with such invoice deals. It’s a good idea to do an audit and survey of your inventory regularly. If you find products that aren’t selling as much as others, you might have to rethink your strategy or get them off your shelves. Don’t rush to upgrade your desktops and office tools if it isn’t necessary. Cut costs where you can with equipment. This is not to say you should cut down on quality of service, but a few good, level-headed decisions in the right departments can cut your spending and improve cash flow. Small businesses are prone to accepting bad contracts and deals. This is because finding customers in a competitive market pushes them to seal an agreement faster than necessary. By taking some time to review payment conditions and similar details, you’ll know whether they suit your firm. You can even negotiate the terms, which in the long run establish better working relationships with business partners. Ultimately, it provides you with a steady cash inflow. Keeping track of all expenses in your business operations is very important. Along with projecting your profits and inflow over the coming year, you need to estimate your expenditure as well. Maintaining a budget will help you keep an eye on spending. It will also effectively cancel out unnecessary expenditure and make your business more efficient in the long run. Managing your cash flow effectively will ensure that your business is running efficiently, and is optimizing profits. It also works to your benefit when you have to apply for loans, a line of credit, or for business valuations. Want to gain control over your finances? At Accounting Inc. we help businesses gain control over their finances and improve cash flow. We can transform your business from a cash-eating monster to a cash making-machine. Feel free to contact us for a free informal chat.